Hindu people in Malaysia, flocked to Batu Caves in Kuala Lumpur which is the largest Hindu temple in the world, to celebrate Thaipusam event. Thaipusam event which is one of the most important days in the Hindu beliefs and celebrated in January-February held live shows for respect to Murugan ' ' God of War ' '. 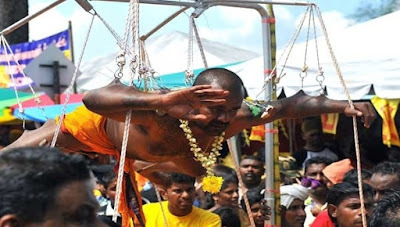 Those Hindus who believe that if their increasingly resistant to the pain, they will be increasingly close to their god, they dancing with carrying the burden that consists of Hindu symbols weighing up to 20 kg. 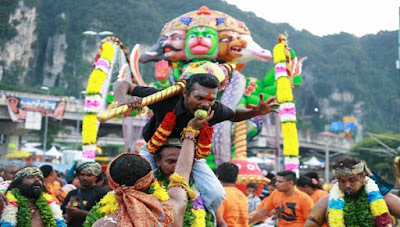 As part of these activities, Hindu devotees walk around 3 kilometers to the Batu Cave, to reach the cave they ride a steep 272 steps. 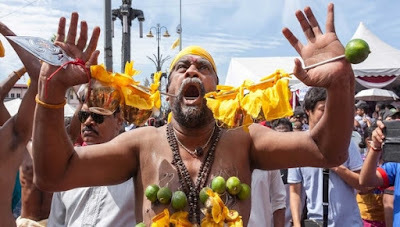 While some Hindu devotees jabbing thick needles into their bodies to show resilience, while Hindu devotees who ask a blessing, bring milk that has been Councillor box above their heads. 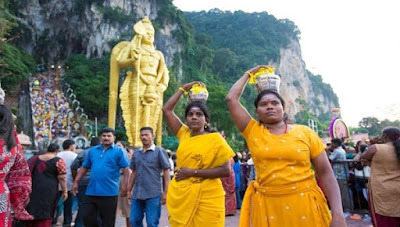 Rock Cave with a height of 42 meters and houses a statue of Murugan at home back, becoming one of the shrines in the Hindu world. In Malaysia, comprising 6,3% Hindu devotees, Thaipusam is celebrated as an official holiday.